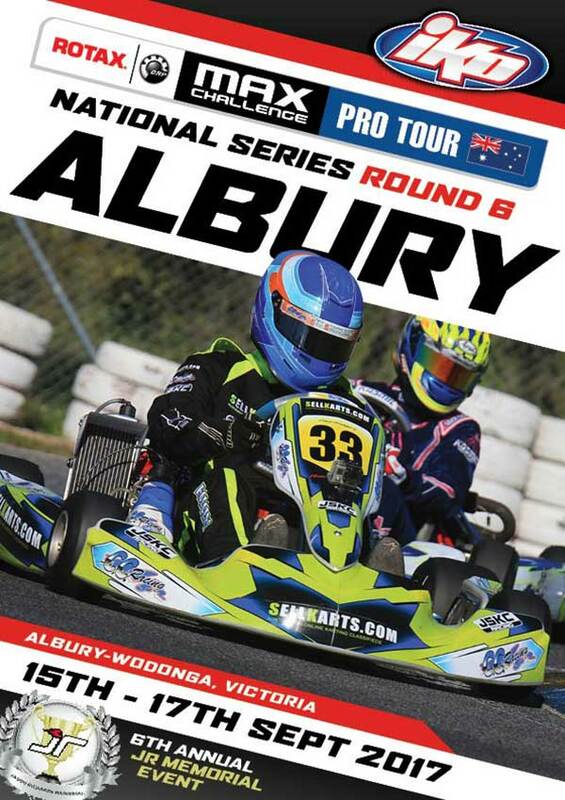 The annual JR Memorial forms part of Rotax Pro Tour round 6 at Albury next month. Kaos Karting has moved into bigger premises. The Queensland retailer’s new shop is just a couple of streets away from the old one. Phone numbers are all the same, but now you’ll need to visit Unit 1, 19 Jay Gee Court in Nerang, Qld, 4211. Pre-entry has closed, but you can still compete in the C&D Grade Titles this weekend at Morwell by doing a late entry direct with the club – phone Lorraine (see poster, below). Supp Regs are HERE. 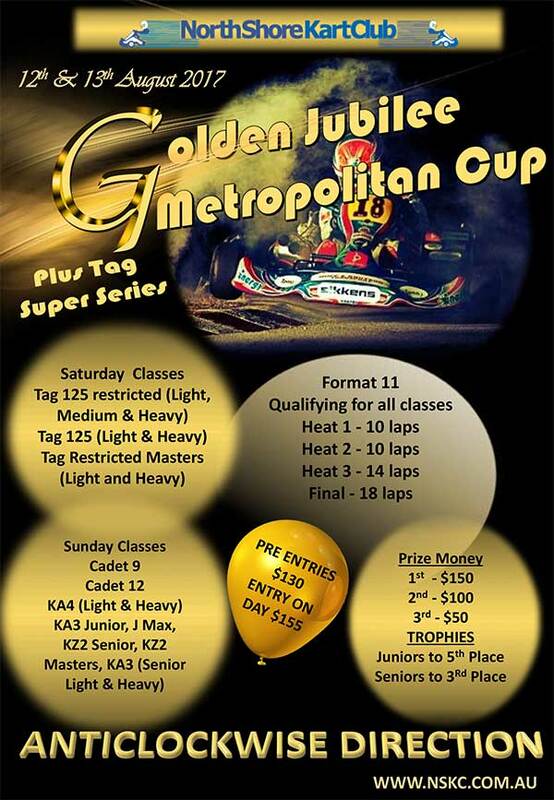 TaG Light is shaping up to be a cracker at the 33rd City of Melbourne Titles on August 12-13. The class is over track capacity and includes names such as David Sera, Cian Fothergill, Brad Jenner, Matt Wall, Leigh Nicolaou and Nick Percat just to name a few. 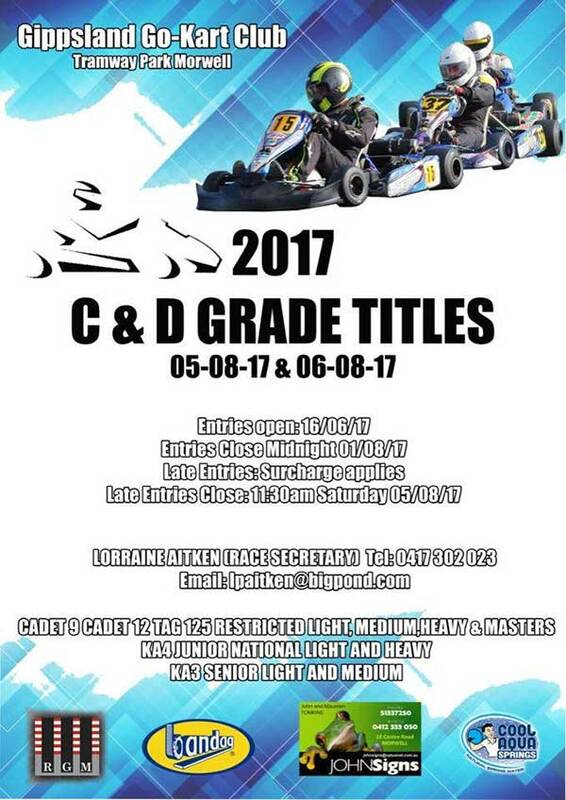 KA4 Junior Light is only a couple of entries off the 36-kart grid (strangely, there is so far just a handful of Heavies) and there are nearly 30 Cadet 12s. At the time of writing there are well over 200 entries, which close on August 9th. Supp Regs are HERE. 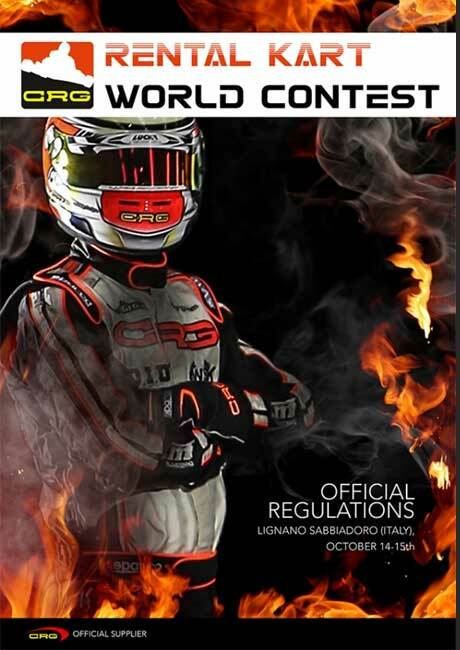 CRG has released the regulations for their Rental Kart World Contest that will take place on the weekend of October 14-15 in Lignano Sabbiadoro, Italy. 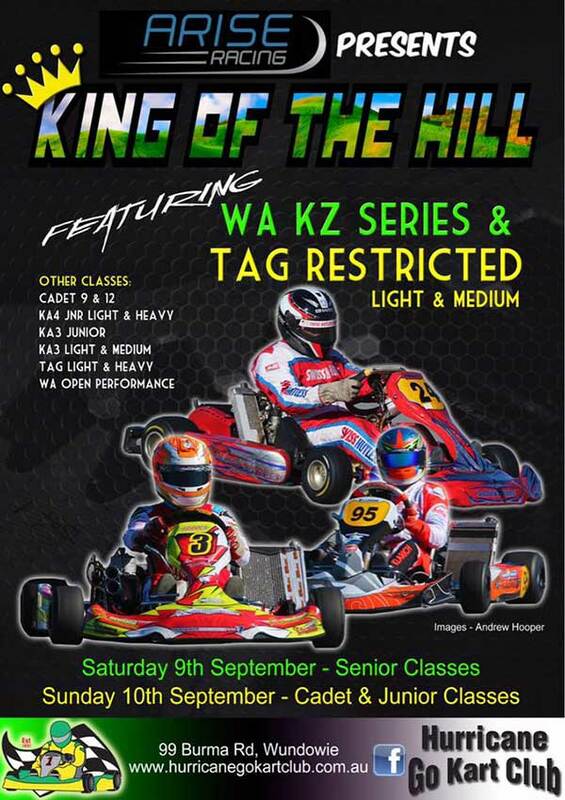 Other than ballast, it will be strictly forbidden to change any element of the kart (CRG Centurion, 390cc engine) – not even the tyre pressures can be adjusted! 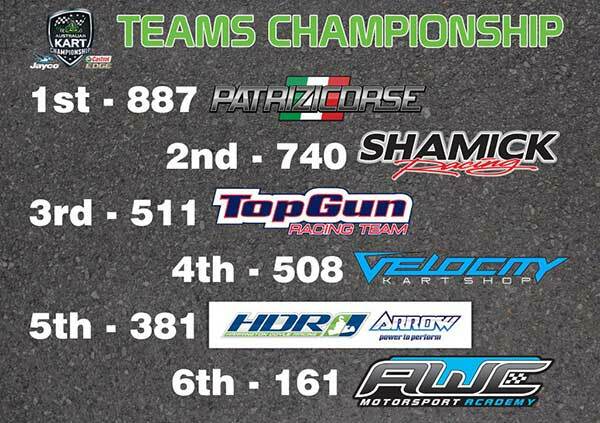 The teams title will be awarded on Saturday October 14th via an 8-hour endurance race. 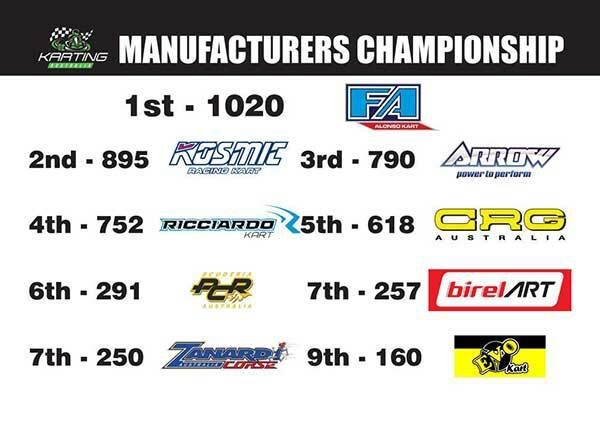 The drivers title will be contest on the Sunday. Download the 8-page PDF by clicking HERE. 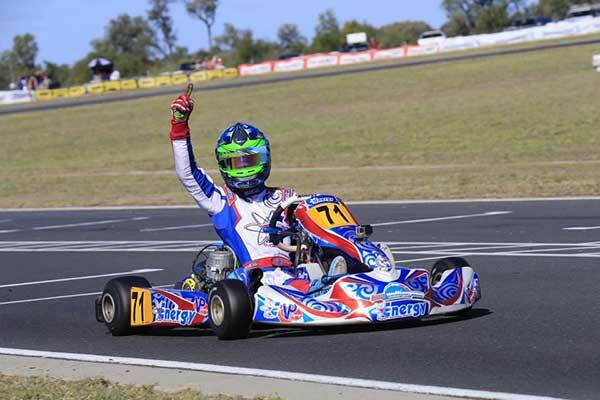 Team Press: Tom Williamson Motorsport driver Josh Fife has extended his lead in the KZ Australian Championship Series with a dominant 4th round win at the Central Queensland Emerald racetrack. Using VP fuels ROO KX unleaded racing fuel, Fife won 3 of the 4 heat races then powered off the start to lead every lap of the 24 lap final. 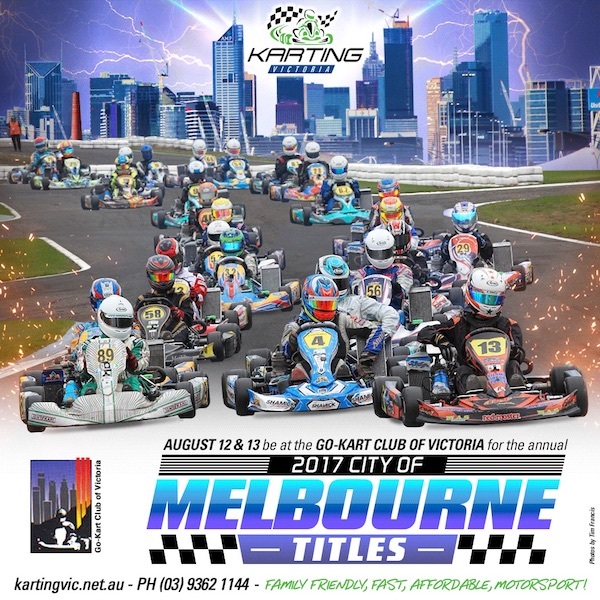 The 17 year old Fife now leads both the KZ National Series as well as the Rotax Pro DD2 series & is now emerging as a future star of Australian motorsport. Fife now heads into the final round of the championship to be held at the Todd Rd Melbourne circuit on September 2-3 with a 28 point lead. $500 grants are available for young sportspeople aged 12 to 18 via the Australian Government’s Local Sporting Champions (LSC) program. There is eligibility criteria that must be met (eg, state, national or international championship, live further than 125km from the competition venue etc) plus a host of terms and conditions. 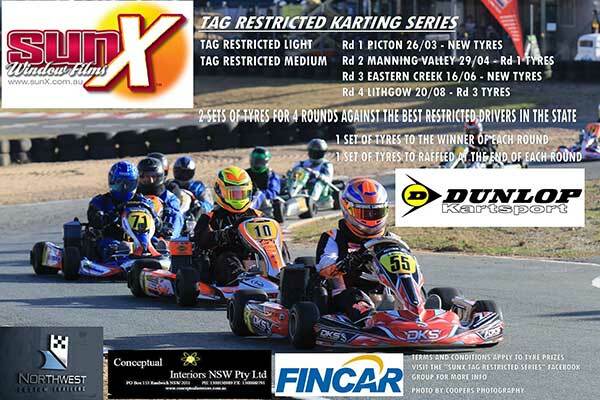 Visit the Karting NSW website HERE for further information. 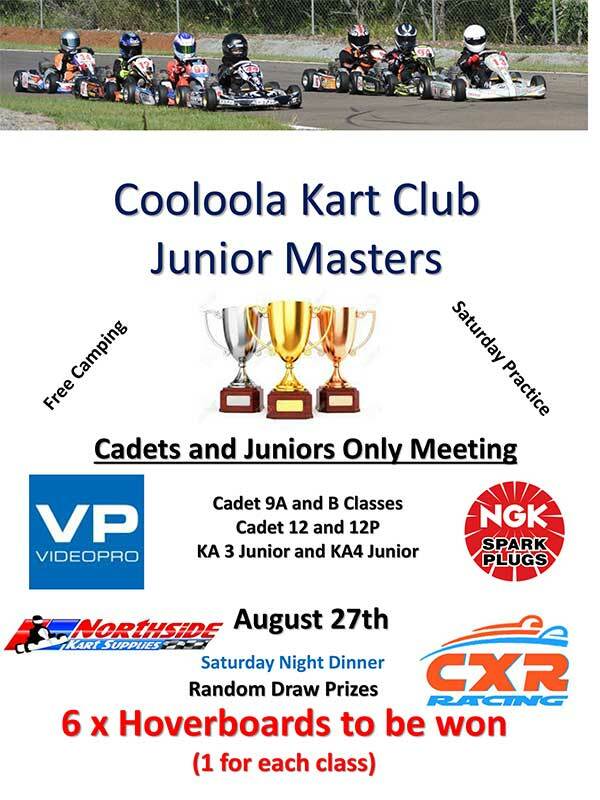 Holden has handed over $12,000 to the Goulburn Valley Kart Club in Victoria (WIN News video below). 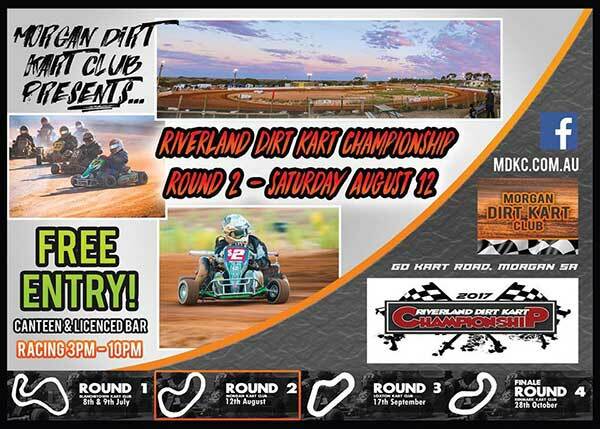 Karting Queensland has reported on its Facebook page that the venue for round 2 of the Queensland Kart Championship has changed from Ipswich to Mackay – ie, round two of the state championship will run from Friday September 29 to Sunday October 1st in MACKAY. The State Cup that was to have been run at Ipswich on that weekend will now take place the weekend prior, September 23-24, at Ipswich. 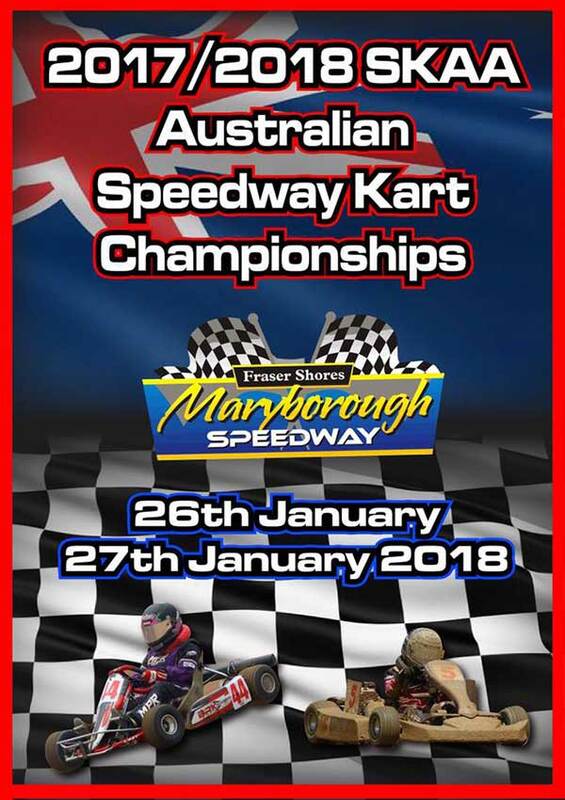 It’s official, Fraser Shores Maryborough Speedway will host the 2017/18 Speedway Karting Championships.